I received a Sudz Club bag free in an exchange for a honest review. All opinions are 100% my own. I don't know about you but I am always running out of essentials like toothpaste and razors. I always have to run to the drug store last minute and pay a big price for something not on sale. Before baby and my weight loss journey I had the time to sit down and make lists and look at sales and coupons. When Sudz Club wanted to me to review their December bag I thought it would be a match made in heaven. 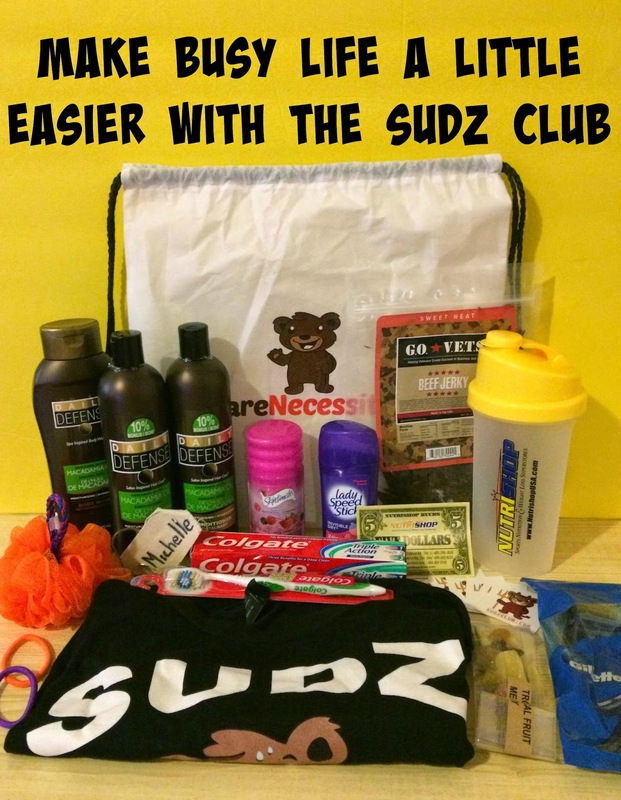 The Sudz Club is a subscription bag where you get neccessites like toothbrushes, deodorant body wash, etc. every month. Bags start as low as $20.99 if you choose the year subscription to $30 if you get just one month. Each month you get a value of about $50. They also throw in some extras depending on your likes at the moment so it's kind of customized. They gave me a nice shaker bottle, some healthy snacks like dried fruit and beef jerky and some hair ties since I told them I was on a weight loss journey. I really loved the shirt that I got too. Since it feels really nice and light I am looking forward to wearing it to the gym in the Spring. I love getting subscription boxes or in this case bags because I love to be surprised and possibly try something I would not normally get myself. I think this is a pretty cool service and the customer service is pretty amazing. 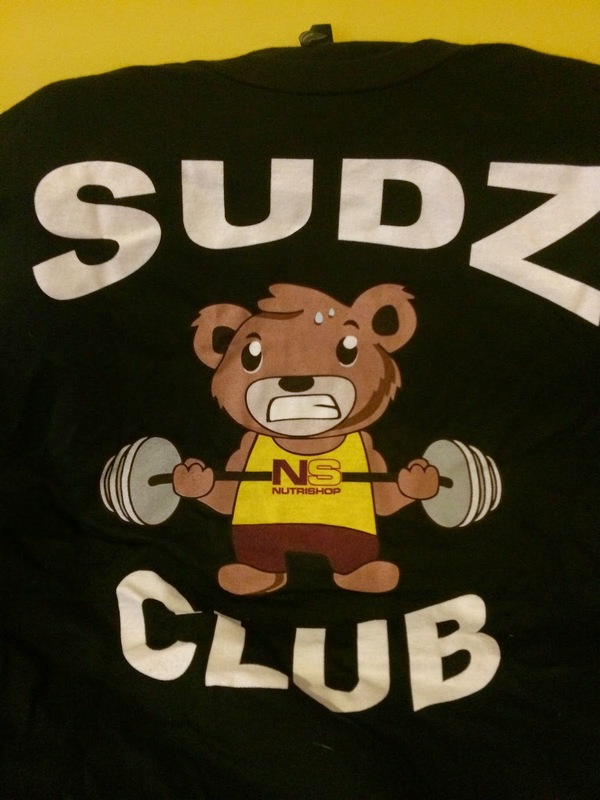 The cool people at SudzClub are giving my readers $5 off when they enter the code "fitmom". Click the link if you want to try your own Sudz Club Subscription. I am always running out of these things and hate having to make a trip to the store to restock. I love this idea and having these things sent to my house each month would be awesome! 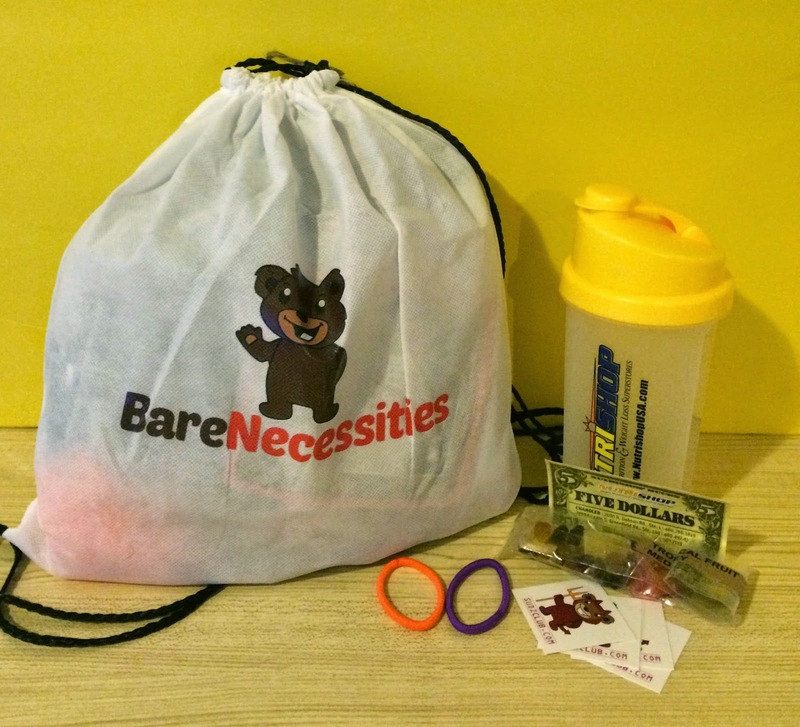 How cool is that to have all of those necessities delivered in a drawstring bag. It's a nice spin off the boxes that are popular now. How long do these last? With one kid is it enough? What a great subscription! It looks like some great necessities. That's great!i hate running to the store for essentials like that. Would love if it was delivered at my door. I bet this would be great to get for your college kids! This would be cool for our college kids. I would subscribe to this for my daughter who's going off to college. I really prefer to make my own personal care stuff, but this would be fun to order for my daughter when she goes to summer camp next year. This looks like a great package of personal care items. I would love to not run out of this stuff! This is a great bag of goodies that you got! I know I have use for all of these items too.